The origins of the College are in a Society, which was founded in 1868 with the aim of encouraging students from less privileged backgrounds to study at Oxford. This Society eventually became St Catherine’s College in 1962. Because of our origins, we are particularly committed to attracting the most gifted students, whatever their background. Applications to the University of Oxford are made via UCAS but please note that the deadline for Oxford applications is earlier than for other universities. You must apply by 15 October 2018 at the latest for places beginning the following autumn. On your UCAS form you can also enter a campus code in order to specify a college preference. The campus code for St Catherine’s College is ‘L’. Have a look around the website and visit us on an Open Day. If you like what you see then we’d encourage you to apply to Catz! More information about applying to the University of Oxford can be found here. Candidates who submitted a UCAS form by 6.00 pm UK time on 15 October 2018, stating St Catherine’s as their college of preference, will receive an acknowledgement of their application via email by the end of October. Please note that our systems do not have a live link to UCAS, so after submitting your application it is essential that, as well as updating the UCAS system, you notify us of any changes to your postal or email address. Otherwise all correspondence will be sent to the postal or email address supplied on your original UCAS application. Pre-interview written tests take place in a variety of subjects. It is your responsibility to check whether there is a written test for your chosen subject and to ensure that you have registered for it, where required. You can find out if you need to sit a test at by visiting the University’s web pages on Pre-interview Tests. Some subjects require samples of written work to be submitted as part of the application. These should have been produced as part of normal school or college work, usually be no more than 2,000 words, and marked by a teacher. Further guidance on written work, including which subjects require it, can be found on the Written Work page of the University website. A completed cover sheet downloaded from the University website must be included with each piece of work. This can be downloaded from here. Written work must be received by 10 November 2018. Written Work should be scanned and sent to admissions@stcatz.ox.ac.uk as a one multi-page PDF file for each sample of written work and must also include a completed cover sheet as the first page. Please note that we are unable to acknowledge receipt of written work, but will contact applicants if the required work has not been received. If you are invited for interview at St Catherine’s, we will provide accommodation and food free of charge during your stay in Oxford. 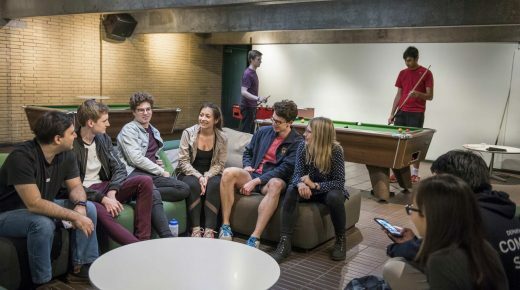 Our Junior Common Room (JCR) is open for you for the entire period of your stay, and there will be a number of current undergraduates present, who will be able to answer any queries you may have. We try to make the interviews (which could be conducted by one, two or more tutors) as friendly as possible – we often get really encouraging feedback from our students on their experience at interview here. The aim of our interviews is not to catch people out, nor simply to test the extent of their factual knowledge. They are designed to see how people think and react, and to test motivation and determination. 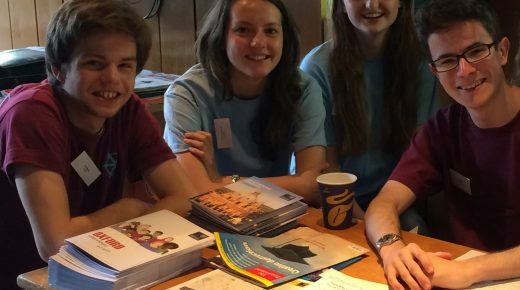 As well as trying to identify those who would do well at Oxford, their aim is to ensure that the Oxford course is the right one for the applicant. We would certainly expect that you had your reasons for applying for a particular course well worked out, though you may of course also have thought of questions you would want to ask us. Towards the end of November or in early December you will receive an email indicating whether or not you have been invited for interview. Interviews for shortlisted candidates will take place in the fortnight beginning Sunday 2 December 2018. Please see the University website for the anticipated interview timetable. Interview arrangements for international applicants may be found here. After attending the interview, you will receive a letter via email and post in January informing you whether or not you have been successful. If you have been successful, this letter will include the conditions of any offer. The offer may specify that you need to achieve certain grades in particular subjects at a particular level and may include the need to meet the University English Language requirements. In August, once all of the relevant examination results have been published, we will confirm your place if you have met the conditions of your offer. If you have not achieved the required grades, we will let you know whether we are still able to offer you a place. Unsuccessful applicants are welcome to ask for feedback on their applications. Requests for feedback received before 31st December will be treated as having been received on the day the College reopens after the New Year. Due to the number of feedback requests the College receives, there may be a delay in responding to requests for feedback. We are, however, able to respond to enquiries about test scores more rapidly than other feedback requests. Please note that due to recent changes in data protection legislation we have adopted the policy of only providing feedback directly to candidates. Should candidates then choose to do so, they may share the feedback with their school or college. For Medicine and Biomedical Sciences, initial shortlisting is carried out centrally. Requests for feedback about any application that has not been shortlisted for interview in these subjects should be addressed in the first instance to the Admissions Coordinator of the appropriate programme. Please note we are unable to provide feedback to successful applicants but will supply test scores upon request. Feedback will only be provided where the request has been received by the College before 30th April 2019. The primary feature of undergraduate study in Oxford is the tutorial system. 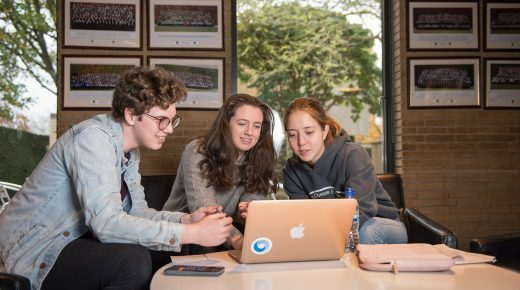 Although students at St Catherine’s also attend lectures, classes and practicals in their department, tutorials are organised by the College and allow students to discuss their subject with leading academics in the field. Tutorials are given to students individually, in pairs or in small groups, and ensure that tutors know undergraduates well and are able to help them both academically and in any other area in which they face difficulties. Most of our tutors have an international reputation for research in their field, covering topics ranging from engineering drug delivery systems to contemporary literature and film in Latin America. The breadth of research carried out at the College, makes for a stimulating intellectual environment, and the College is proud of its place at the forefront of innovation, research and contemporary culture. St Catherine’s offers a wide range of subjects at undergraduate level, and values greatly the study of the sciences and arts in equal measure. For more information about entry requirements and admissions processes for these subjects, please visit the course pages on the University website. As a result of generous donations from alumni and friends of the College, we are pleased to be able to award scholarships and book prizes to undergraduates for outstanding academic work, in addition to offering several prizes each year for academic, social and cultural contributions to College life. The College also offers financial support to students if, for example, their financial circumstances have changed (for information see here). The funds available under this scheme are open to all students. The College is also able to make a number of travel awards to undergraduates for enterprising and interesting travel abroad during the summer vacation. More information about funding available from the University can be found here. St Catherine’s College and New Chamber Opera have established a Répétiteur Scholarship for pianists wishing to further their skills as a répétiteur, accompanist or conductor. Holders of the Scholarship will be appropriately qualified undergraduate members of St Catherine’s College, reading Music or another approved subject. It is intended that the successful applicant will divide his or her scholarship time between St Catherine’s College and New Chamber Opera, assisting in rehearsals, performances and with the training of singers for New Chamber Opera, and helping to organise and run practical musical activities in St Catherine’s. More information can be found here. The annual award – under the Nick Young Trust, set up in memory of Nick Young, an alumnus of the College – offers a grant of £1,250 to a member, or alumnus, of the College for the purpose of gaining experience of the functions of the television media by spending a period of several months as arranged by Director’s Cut Productions.